Approximately 1,700 athletes will participate in the collegiate and community divisions of the US Quidditch Cup 12 this weekend at the Round Rock Multipurpose Complex in Round Rock—the Sports Capital of Texas. Eighty-three teams are registered to compete, including 59 collegiate teams and 24 adult community teams. With 13 teams in the event this year, Texas has more teams participating than any other state. Approximately 200 quidditch games will be held this weekend in Round Rock, which hosted its first quidditch match June 2017 at the Round Rock Multipurpose Complex shortly after it opened. The US Quidditch Cup 11 was also held there last year and approximately 2,500 fans attended. Quidditch is a real-world adaptation of the game played in the Harry Potter novels. The sport is a cross between rugby, dodge ball and capture the flag, and players are required to have a broom between their legs at all times. All games on pitch one will be livestreamed on USQ’s YouTube channel featuring ESPN play-by-play commentator Brad Woznicki who is returning to cover the tournament after a one-year hiatus. Commentator Ashton Jeanlewis will join Woznicki periodically throughout the weekend with his own play-by-play commentary. ADMISSION COST: One-day and weekend general admission tickets are available online at usquidditchcup.com and at the gate. A limited number of VIP upgrades will be available at the door. One-Day Pass – Grants access to a full day of games and the fan festival on either Saturday OR Sunday, including the semifinals and finals matches on Sunday. Weekend Pass – Grants access to approximately 200 exciting games of quidditch Saturday and Sunday, including the semifinals and finals matches on Sunday. VIP Pass – (One-Day VIP $75, VIP Weekend $150) VIP ticket holders receive access to the VIP area with an air-conditioned lounge overlooking both championship pitches, free food and drinks, swag bag with an event shirt and individualized attention from our VIP volunteers and staff. For those who already purchased tickets online and want to upgrade to a VIP ticket at the door, cost is an additional $55 for a one-day VIP pass and $110 for a VIP weekend pass. Youth Pass (age 3-17); children ages 2 and under are free. Student Passes – With a valid student ID. US Quidditch, established in 2010, is a 501(c)3 non-profit organization and the national governing body for the sport of quidditch. US Quidditch advances the sport by organizing events and programs that build community and empower all genders to compete together. Quidditch is a mixed-gender, full-contact sport with a unique mix of elements from rugby, basketball, and dodgeball. A quidditch team is made up of seven athletes who play with brooms between their legs at all times. While the game can appear chaotic to the casual observer, quidditch is an exciting sport to watch and is even more fun to play. Three chasers play with a ball called the quaffle and score goals worth 10 points each by shooting or dunking the ball through any one of three hoops at the other end of the pitch. They advance the quaffle down the field by running with it, passing it to teammates, or kicking it. Each team has a keeper who defends the goal hoops. Two beaters use bludgers to disrupt the flow of the game by “knocking out” other players. Any player hit by a bludger is out of play until they touch their own hoops. Each team also has a seeker who tries to catch the snitch. The snitch is a ball attached to the waistband of the snitch runner, a neutral athlete in a yellow uniform who uses any means to avoid capture. The snitch is worth 30 points and its capture ends the game. If the score is tied after the snitch catch, the game proceeds into overtime. The US Quidditch Cup is US Quidditch’s premier event of the season. Featuring 83 teams from two divisions, this tournament is the pinnacle of the competitive season and the largest spectator event of the year. Fifty-nine collegiate teams and 24 adult community teams qualify through regional championships and at-large bids. These teams have the opportunity to compete at US Quidditch Cup to be crowned the National Champions in their division. 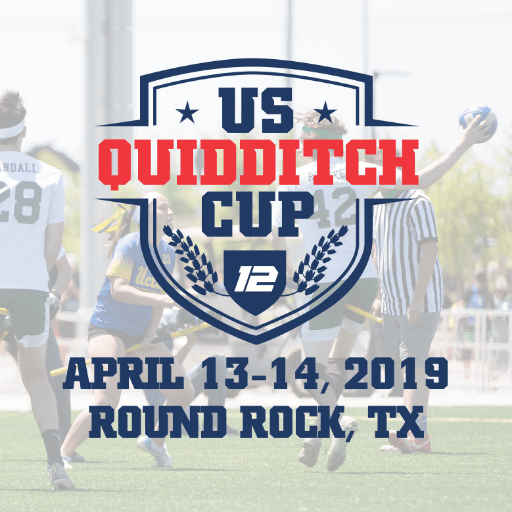 The post US Quidditch Cup returns to Round Rock April 13-14 appeared first on City of Round Rock.